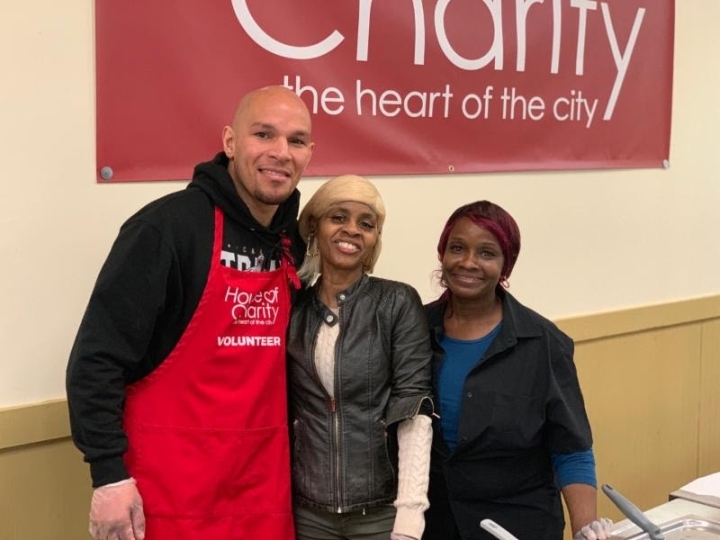 Minnesota-native and former world champion Caleb “Golden” Truax gave back to his community Tuesday as he teamed up with The Armory to serve meals at House of Charity, a cafeteria and shelter just blocks from The Armory, where he will face Peter “Kid Chocolate” Quillin on Saturday, April 13 in the main event of Premier Boxing Champions on FS1 and FOX Deportes. The Food Centre, where Truax served meals Tuesday, feeds more than 350 people each day. House of Charity has served the community in Minneapolis for over 60 years. As part of this event and Truax’s “Cut No Corners” campaign, The Armory Foundation will be donating $100 to House of Charity for each of the 19 knockouts that Truax has racked up throughout his career. Tickets for the April 13 event, which is promoted by Warriors Boxing and TGB Promotions, are on sale now, and can be purchased at the Armory at http://ArmoryMN.com/ and through Ticketmaster.